Growing up, I remember coming home from school and having a snack. It was sort of like a relaxing tradition after a long hard day of elementary pre-algebra and vocabulary testing. However, I was a very particular, okay really, I was a crazy picky child when it came to my snacks. I remember one of the most popular after school snacks was bagel bites. Do you remember these? Or, do these still exist? These snacks were in the frozen food section of the grocery store. They were mini half bagels, topped with red sauce, cheese, and tiny pepperoni bits. You could quickly microwave the bites or throw them in the oven for a short bit. Yet, as I alluded to before, I was a very odd and picky child. Not only did I really not care for most cheeses growing up, but I absolutely could not, would not, and was utterly repelled by pizza sauce (still am!). Simply put, bagel bites were out of the question in my after school snack options. 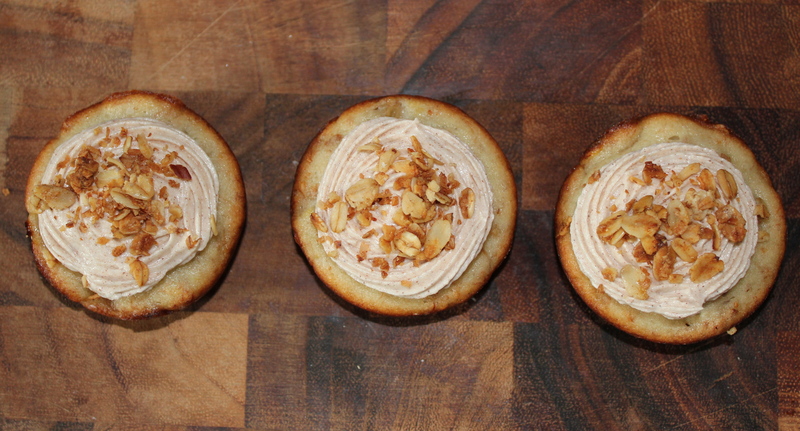 This is sort of an odd segway into today’s granola recipe, but after I finished baking these bite size snacks, I simply wished these were around for my after school snack years ago instead of bagel bites. 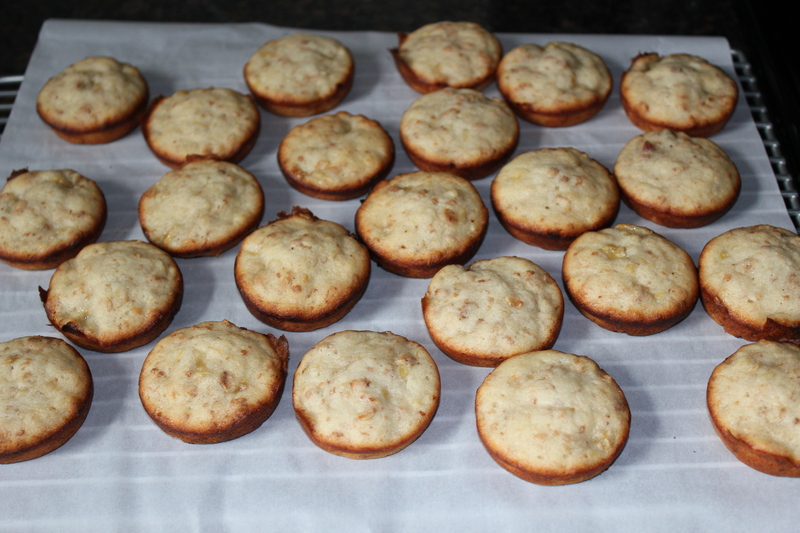 On account of our 30 days of granola, I decided to make granola banana bread bites with a small swirl of honey cinnamon cream cheese frosting. Oh my goodness, these are sooooo good! 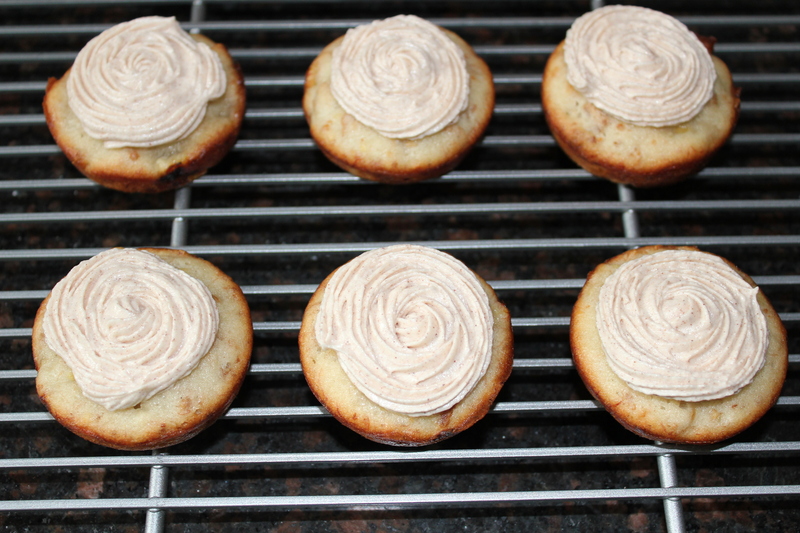 I have a weakness for banana bread, and the frosting!?! It is my absolute favorite. Maybe it is a good thing I didn’t know how to make these when I was younger! Preheat your oven to 350ºF. 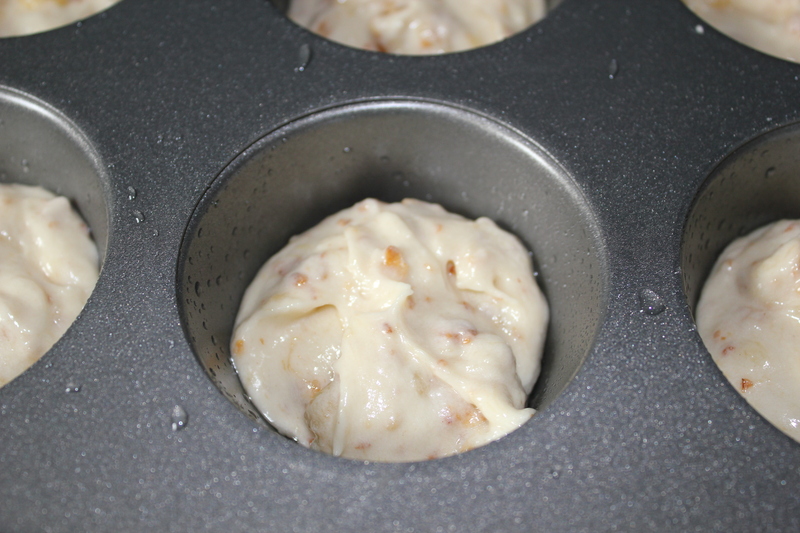 Line cupcake pan or spray with oil. Next, cream butter and sugar until smooth. 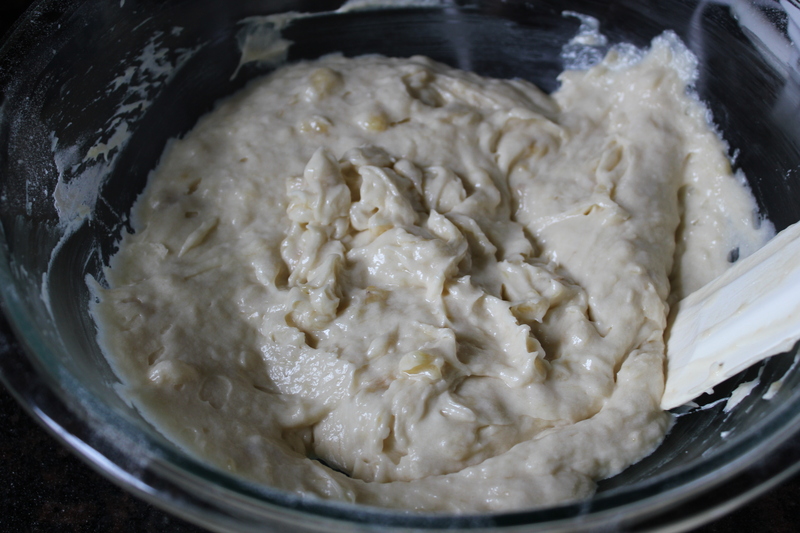 Beat eggs and add them into the butter and sugar mixture. 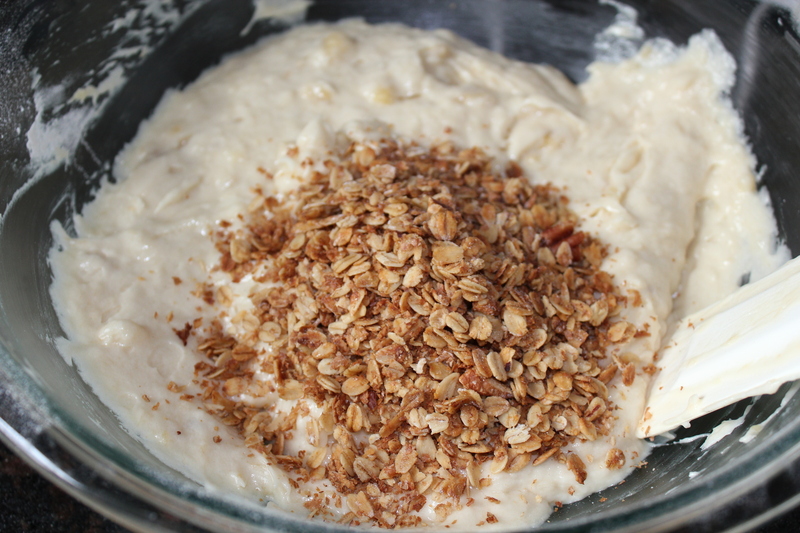 In a separate bowl, mash bananas and set aside. 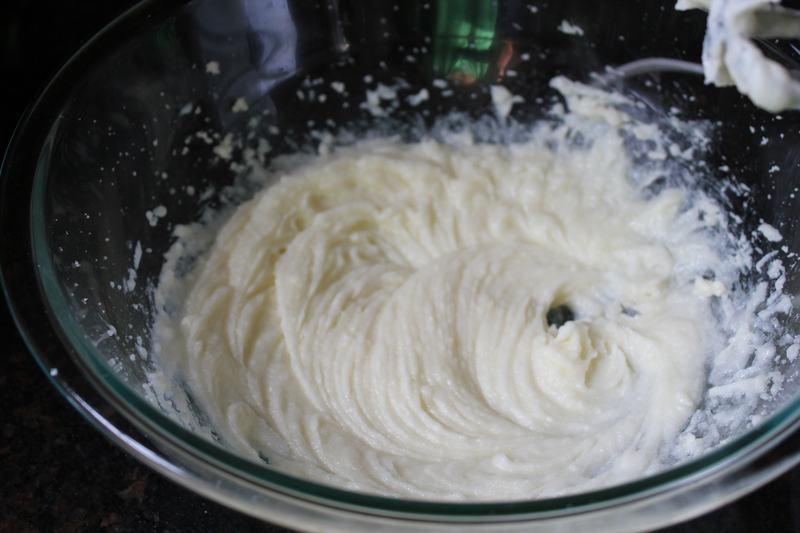 And, in one more mixing bowl (you should have 3 now), combine flour and baking soda. Finally, mix all three bowls of ingredients together. Add a cup of the Bethlehem Inn All Natural Honey Pecan granola and fold in. 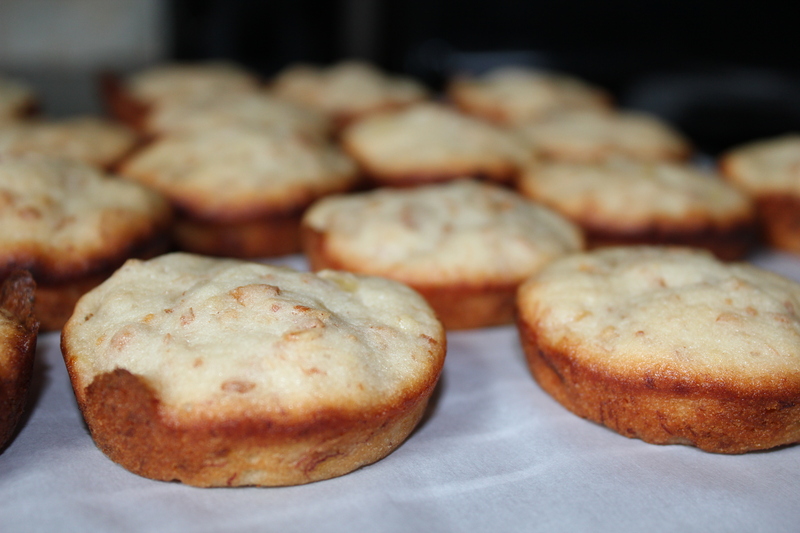 Once mixed entirely, scoop a spoonful of the mixture into the cupcake pan until it is halfway full. Repeat until you have run out of batter. Place the pans in the oven for 20-25 minutes. 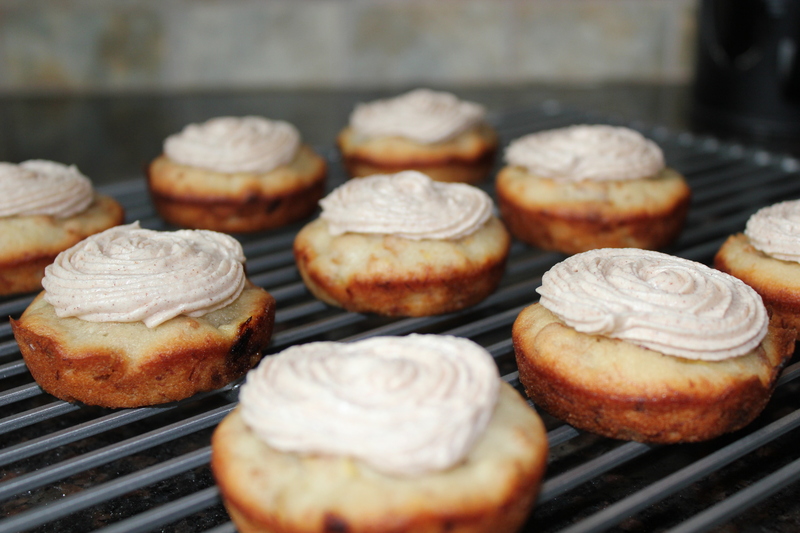 While the banana bites are baking, let’s prepare the cream cheese frosting. Begin by whipping together the cream cheese and the butter. 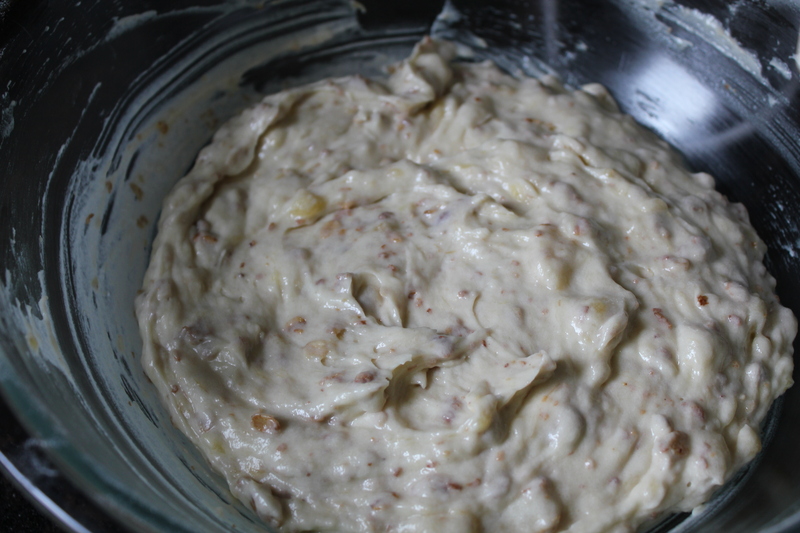 Add the remainder of the ingredients and hand mix until creamy and smooth. That’s it! Put it in the refrigerator until the bites have cooled from the oven. 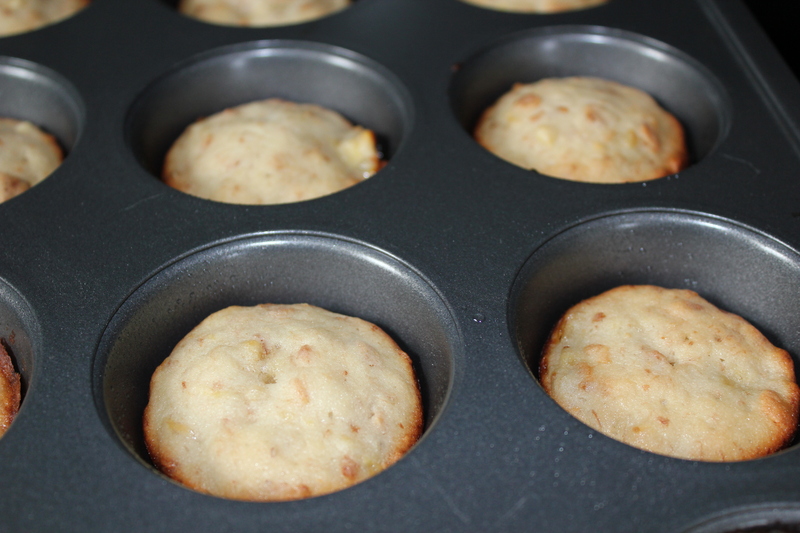 Once the banana bites are baked, allow them to cool for about 15 minutes. 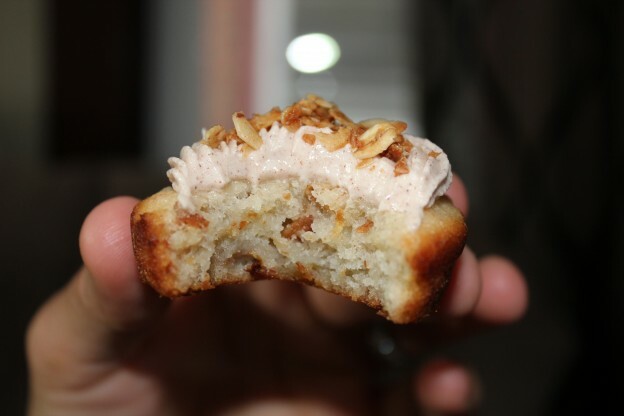 To dress, use a small frosting tip starting in the center of the bite and swirl in a circle until you get to the outside. 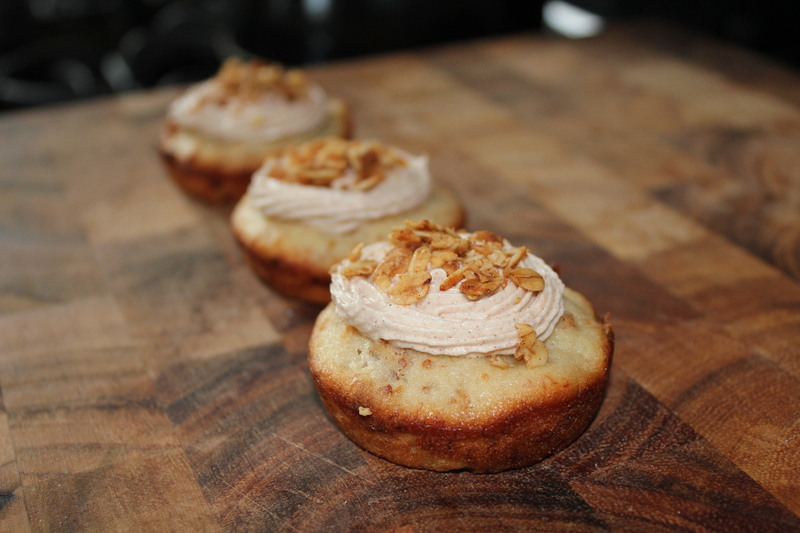 Or, you can simply take a knife and smooth over a dollop of the frosting…your choice! 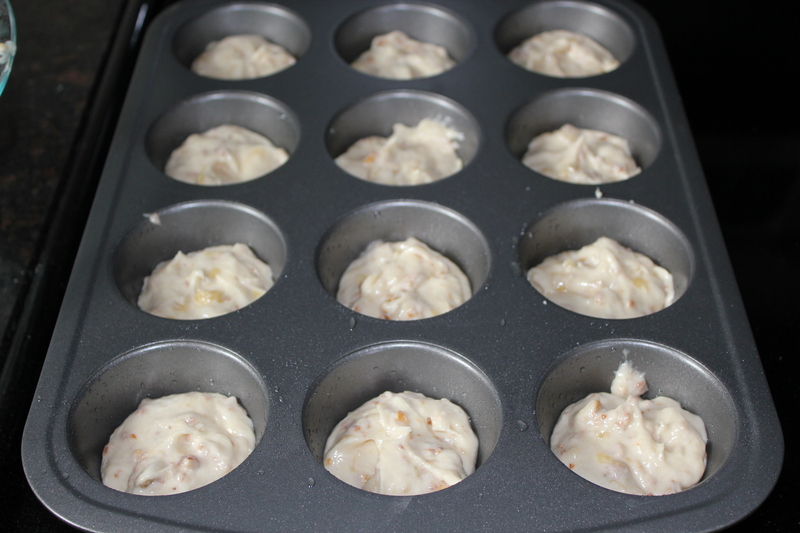 So, whether these granola banana bites are a new after school snack for your picky kids (like me), or an adult coffee break snack, or even the perfect small bites for a ladies luncheon/brunch, I promise that you will not be disappointed in this treat. They are so delicious!